Urban (Ben) Benson, 72, of Bismarck, ND, passed away at his home on November 9, 2018. Services will be held at 10:00 AM CST on Wednesday, November 14, 2018, at the Twin Buttes Memorial Hall, Twin Buttes, ND, with Diane Traverse officiating. Burial will follow at the Twin Buttes Congregational Cemetery. A wake service will be held on Tuesday, November 13, 2018 at the Twin Buttes Memorial Hall starting at 4:00 PM CST. Urban was born January 18, 1946 to Bud and Viola Wilson in Elbowoods, ND. Urban spent his early years in Elbowoods with his grandpa, John Benson. Urban was a member of the Knife Clan. He attended school in Elbowoods, Twin Buttes, and Wahpeton. He attended Halliday High School and the Lowville Academy in Lowville, NY. Urban enlisted in the United States Air Force and was an Air Traffic Controller. He was stationed at the Minot Air Force Base and various other Air Force bases during the Vietnam era. Urban attended Brigham City Police Academy in Utah. Urban went on to graduate from Mayville State University with a Bachelor of Science degree. While in Mayville, Urban, served four years in the North Dakota National Guard. Urban worked in law enforcement as a Burleigh County Sheriff’s Deputy for several years and then as a BIA Police Officer in Montana, South Dakota, North Dakota, and Wyoming. He left law enforcement for the field of education. 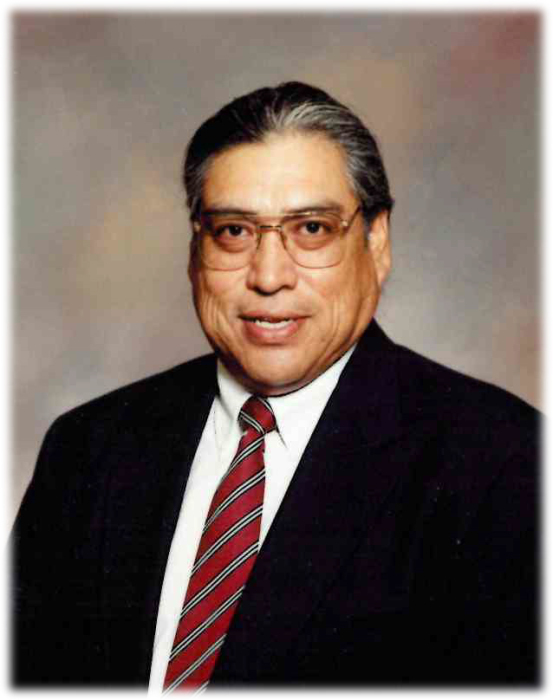 Urban worked for the University of North Dakota in the Native American Program and then to Mankato State University where he was the Director of Multicultural Services. He resided in Mankato for 25 years. Due to health issues Urban returned to Bismarck, ND, until his time of death. Urban is survived by his six children, Joyce Benson of Mandan, ND, Becky Benson (Royd) of Mandan, ND, Ira Jane Benson (Matt) of Lynnwood, WA, Ben Alexander Benson of Duluth, MN, Autumn Benson of Mankato, MN, and Ethan Benson of Mankato, MN; six siblings, Ira Jane (Angus) Fox of New Town, ND, Delmar (Colleen) Wilson of Twin Buttes, ND, James (Deb) Wilson of Grand Forks, ND, Karen Wilson Aylor of Grand Forks, ND, Elaine Simpson of New Town, ND, and Pamela (Rob) Snider of Lincoln, ND; and four grandchildren, Cheyenne Sletten, Royd “Buddy” Sletten, William Sletten, and Colton Thompson. He was preceded in death by his parents, Bud and Viola Wilson; a niece, Kelli Rae Driver; a grandson, Jai Wilkie; a brother, Robert Wilson; a brother-in-law, Eddie Ray Aylor; two uncles, Phillip and Edwin Benson; two aunts, Blanche Benson and Louella Young Bear; his grandparents, John and Alice (Bear Ghost) Benson; and his great-grandparents, Ben Benson and Brown Chest.